The balance of fresh and saline water is essential to estuarine ecosystem function. Along the fresh-brackish-saline water gradient within the C-43 canal/Caloosahatchee River Estuary (CRE), the quantity, timing and distribution of water, and associated water quality significantly influence ecosystem function. Long-term trends of water quality and quantity were assessed from Lake Okeechobee to the CRE between May 1978 and April 2016. Significant changes to monthly flow volumes were detected between the lake and the estuary which correspond to changes in upstream management. and climatic events. Across the 37-year period, total phosphorus (TP) flow-weighted mean (FWM) concentration significantly increased at the lake; meanwhile, total nitrogen (TN) FMW concentrations significantly declined at both the lake and estuary headwaters. 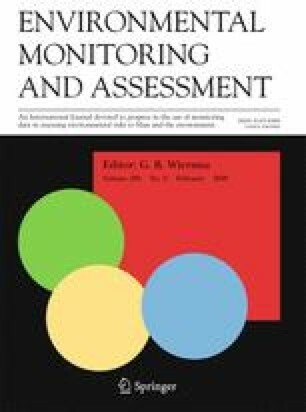 Between May 1999 and April 2016, TN, TP, and total organic carbon (TOC), ortho-P, and ammonium conditions were assessed within the estuary at several monitoring locations. Generally, nutrient concentrations decreased from upstream to downstream with shifts in TN/TP from values > 20 in the freshwater portion, ~ 20 in the estuarine portion, and < 20 in the marine portion indicating a spatial shift in nutrient limitations along the continuum. Aquatic productivity analysis suggests that the estuary is net heterotrophic with productivity being negatively influenced by TP, TN, and TOC likely due to a combination of effects including shading by high color dissolved organic matter. We conclude that rainfall patterns, land use, and the resulting discharges of runoff drive the ecology of the C-43/CRE aquatic continuum and associated biogeochemistry rather than water management associated with Lake Okeechobee. The online version of this article ( https://doi.org/10.1007/s10661-017-6455-8) contains supplementary material, which is available to authorized users. We would like to thank Eric Millbrandt, South Florida Water Management District and the Sanibel-Captiva Conservation Foundation staff for field and analytical support. The authors would like to thank Peter Doering, John Kominoski, the anonymous reviewers, and editor(s) for their efforts and constructive review of this manuscript. The River, Estuary, and Coastal Observing Network is partially supported by NOAA award to E.C.M. and B. Kirkpatrick for the Gulf of Mexico Coastal Ocean Observing System (GCOOS) (#NA16NOS0120018) and the LAT Foundation.